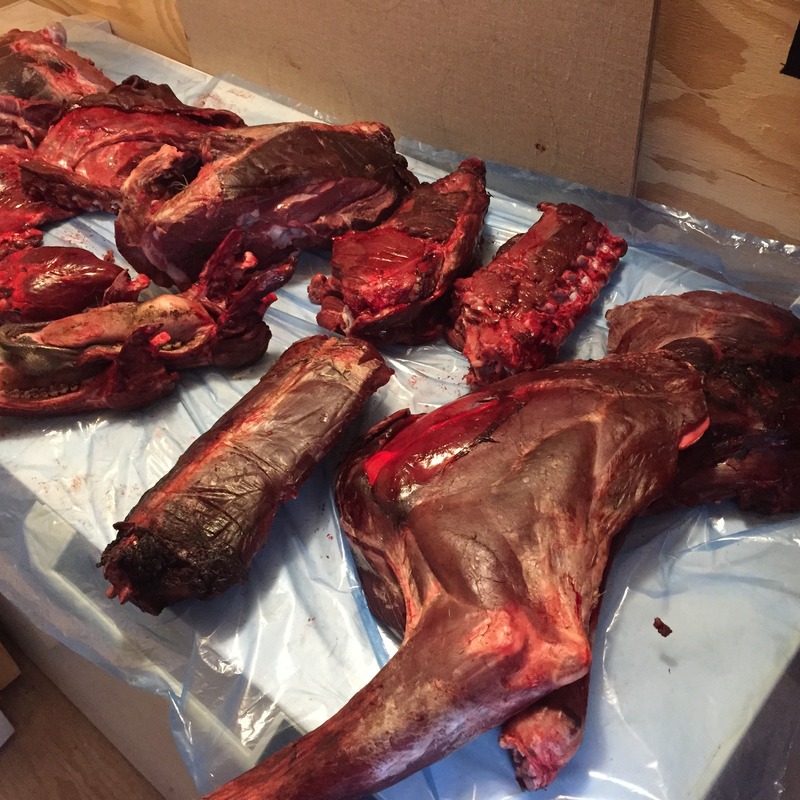 On the heels of a daughter’s first successful caribou hunt, a family shares traditions – old and new – over dinner. “Meet the North,” a series that ventures into the lives of some of the 4 million people who call the Arctic home, continues in Sisimiut, Greenland. The day I met Tukumminnguaq (Tuku) Olsen, she took me to the monument in Sisimiut, Greenland, dedicated to her great-great-grandfather, Gustav Olsen. He was a Greenlandic missionary in the Qaanaaq (Thule) area, Greenland’s northernmost community and the place where Tuku grew up. Even though she lives farther south now, she still considers herself a Thule person. 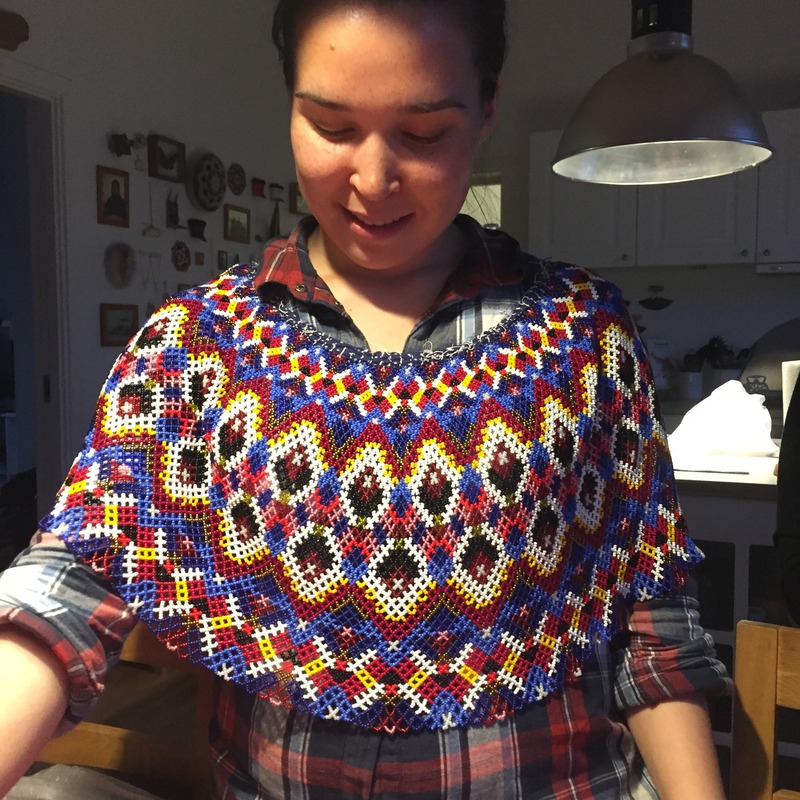 Tuku, 28, spends her summers guiding tourists around the community of Sisimiut, Greenland’s second-largest town (population 5,600), located on the coast of the Davis Strait. She is very interested in politics, and I met her three weeks before she traveled to Denmark for an internship with the Danish parliament. 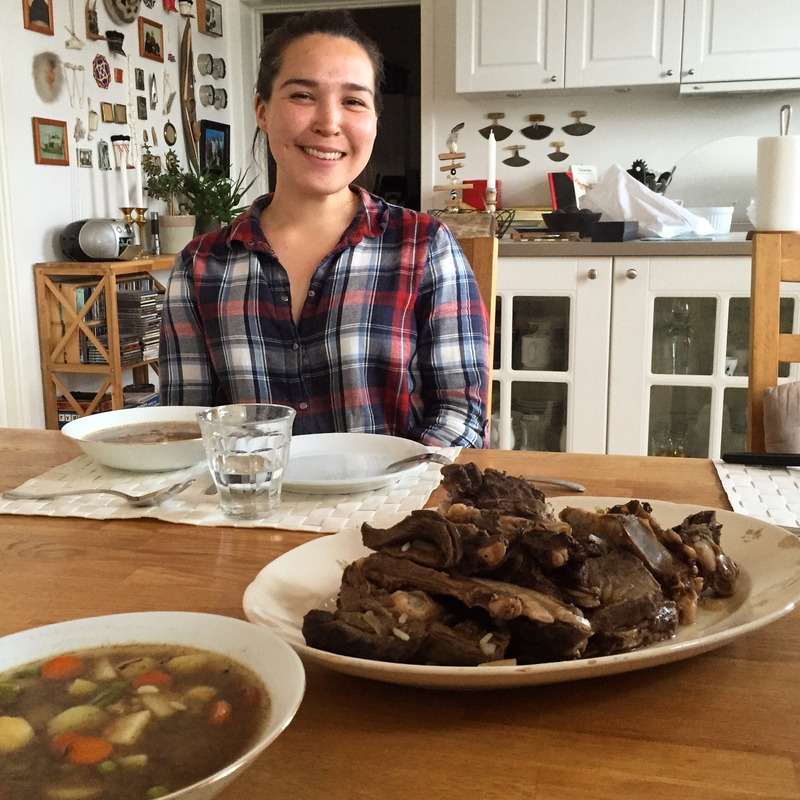 I asked Tuku for a recommendation on who to meet next in order to get a better understanding of Greenlandic life (I’m fascinated by the connections revealed one introduction at a time), and she invited me over for dinner to meet her parents. I arrived at a modern house on the edge of town. Tuku had gathered her long dark hair into a high bun, similar to the traditional Greenlandic style, and she wore earrings made from narwhal tusk carved into tiny polar bear heads. First, we ate tingulaat, a mix of boiled cod livers, angelica (a robust green plant that grows locally) and crowberries – black and ripe. The cod had been caught just a couple of days earlier by Tuku’s family. We scooped it from our bowls with small squares of dark rye bread, a Danish touch. Next came the caribou soup – tuttu-suppa – made with meat from a caribou Tuku had hunted with her father the weekend before. It had been her first successful caribou hunt, and she showed me photos on her smartphone of her carrying the animal’s haunches over her shoulders, across the tundra. The trick to the soup, I learned from Tuku and her mother, is to cook the meat in the broth with carrots, potatoes, peas, rice and angelica, but to remove it before serving, so one can dig in and get the meat off the bones. Over our special meal of country food, called kalaalimineq, Tuku’s parents, Axel Lund Olsen and Makka Nykjær, talked about the trips they used to take with their dog team, how caribou from different regions tastes different and how leaving the meat out in the open for two or three days softens it and improves the taste. a tropical butterfly, a gift from one of Tuku’s high school teachers. After a dessert of pie from the bakery, we pulled the traditional clothing out of the storage room. It seemed to me the family had enough items for an exhibit on the history of Greenlandic dress. Tuku started by presenting Axel’s polar bear pants – the warmest possible layer a hunter could wear. They looked enormous next to the West Greenlandic outfit Makka wore when she was two years old, more than 50 years ago. Next, Tuku draped a beaded shawl that her mother had worn for her wedding over her shoulders. She explained that the beads should be the right length and that the colors matter; this one, for example, had too much blue for Tuku to wear in her twenties, but she said, “Maybe I can wear them when I get married.” In centuries past, the beads would have been made from capelin vertebrae dyed with blood and blueberry. We admired piece after piece until embroidery, lace, beadwork and sealskin covered the kitchen table. 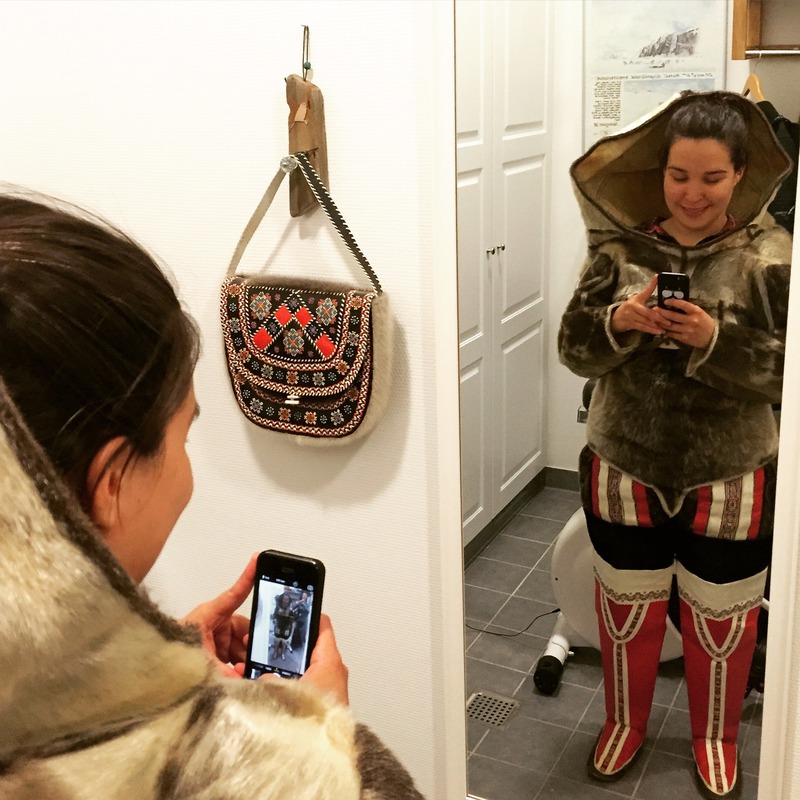 It was after 10 p.m. by the time Tuku found an outfit that comprised important pieces of her family history: a sealskin amaut made for her mother by a woman in Qaanaaq. Intricate piecing gives the garment its shape, including the hood built to hold a small child. 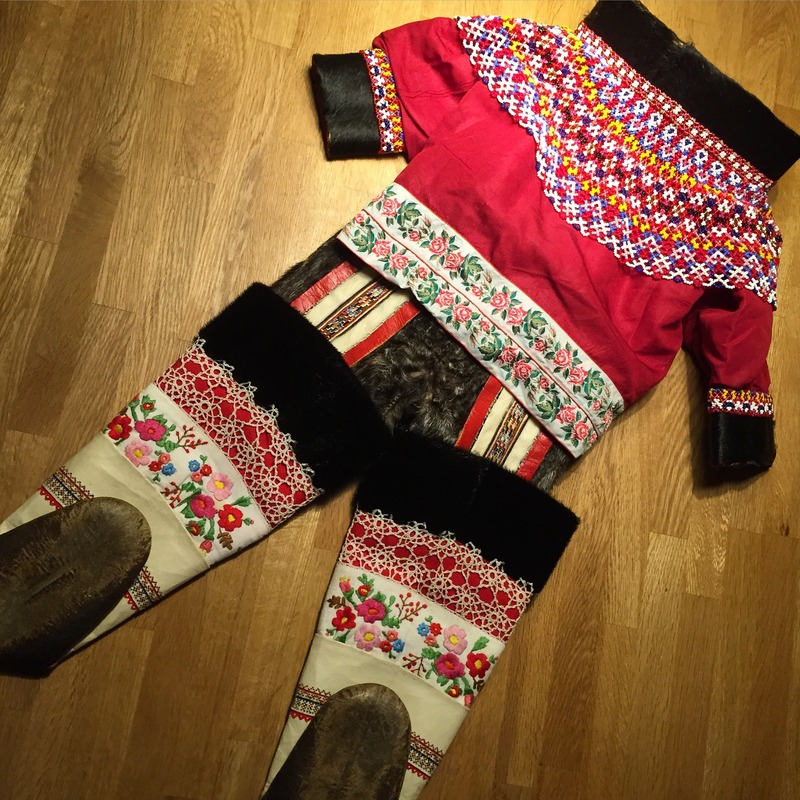 The red kamiit (long boots) are a West Greenlandic style appropriate for married women. They had been made for Makka by her grandmother, who was well known for her sewing. Long white hair from a polar bear’s foreleg fringed the top edge of the boots to keep out the snow. The clothing itself is two decades old, but the technology goes back hundreds of years. Standing in front of a full-length mirror, Tuku snapped it all into the present when she pulled out her phone, took a photograph of herself with it on, and published it to Instagram. “How do you feel wearing this?” I asked. I spent the next few days going from introduction to introduction around town, with Tuku working as my interpreter. 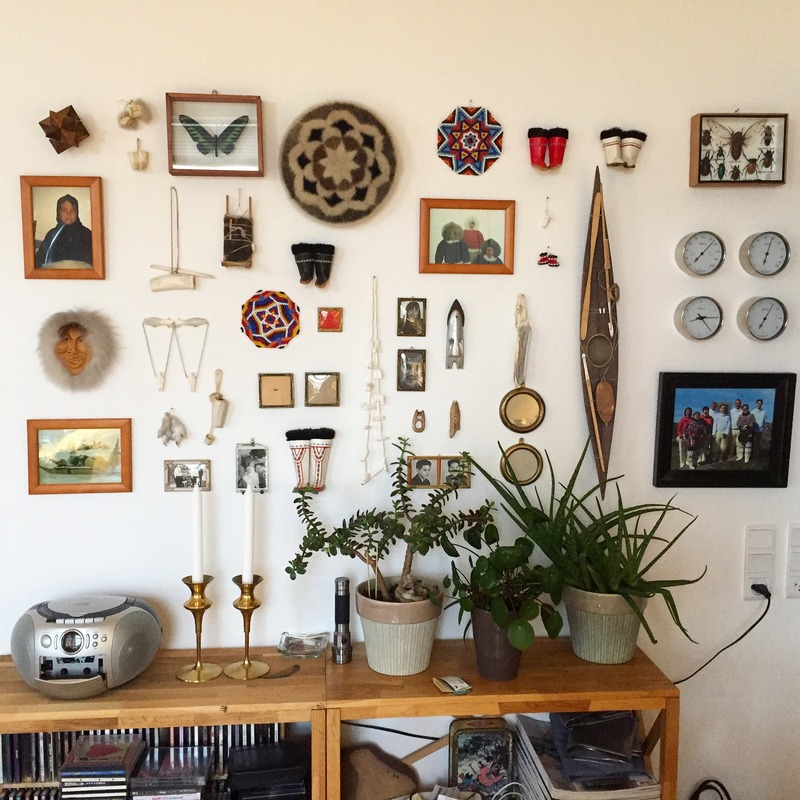 We met artists and politicians, and we visited Tuku’s extended family for a feast of Danish pastries and traditional wild foods. Together, we followed a thread of social connections, but my most powerful memory is of Tuku, standing in her mother’s clothing, holding up her smartphone, pulling the past and present together. Studying in Denmark is a step toward a future in politics and making a difference for the people of Greenland. Read the rest of the Meet the North series.